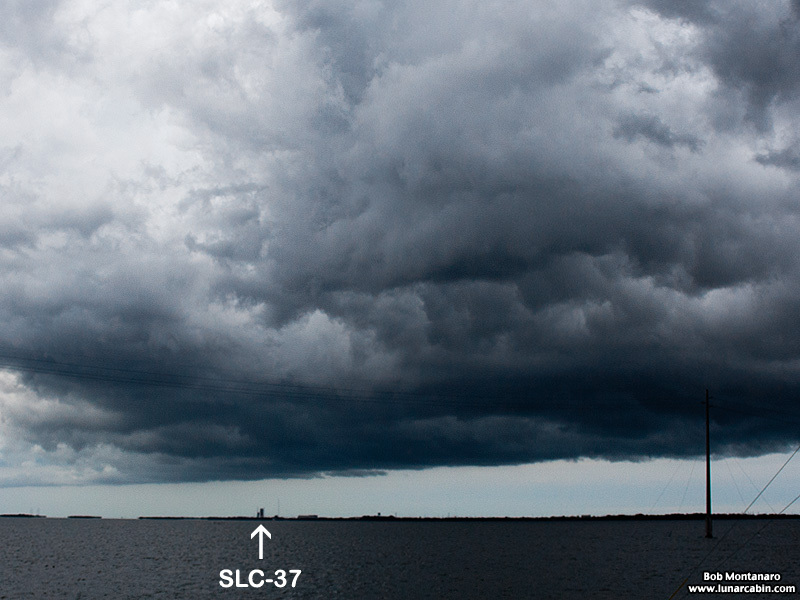 Time ran out at Cape Canaveral Air Force Station in the race to launch a United Launch Alliance Delta IV rocket before a storm front moved into the area forcing the launch to be scrubbed. This is the second delay for the U.S. Air Force Space Command (AFSPC) -4 mission after a technical problem with ground equipment scrubbed the launch attempt the previous day. The mission will deliver two Geosynchronous Space Situational Awareness Program (GSSAP) satellites to near-geosynchronous orbit and will also carry an Automated Navigation and Guidance Experiment for Local Space (ANGELS) satellite. 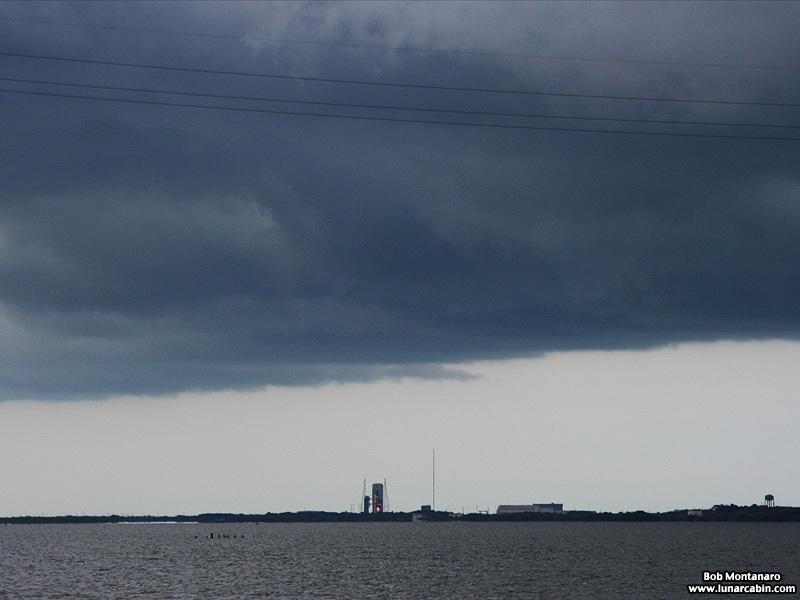 An arrow in the wide-angle view at top points to Space Launch Complex 37 as the storm moves into the area and, below, a closer view of the dark storm clouds over the pad.